The answer is no. Or at least, not yet. 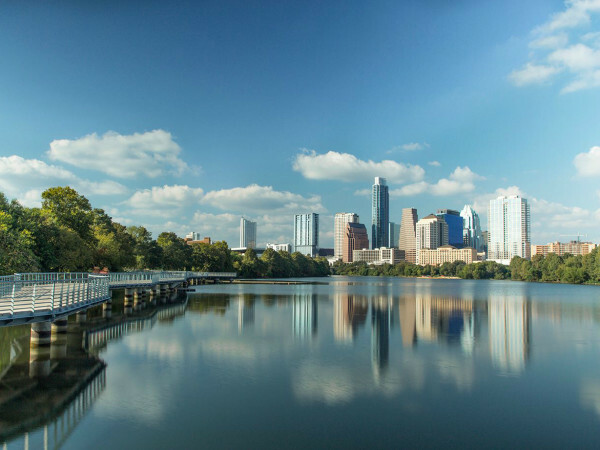 Thursday night the Austin City Council met to vote on a number of propositions, including the legal status of transportation network companies (also known as TNCs) operating in the city. Although TNCs like Uber and Lyft are already available, technically they're still very much illegal under current city ordinances. After carrying on the debate well past midnight, the council voted 6-1 in approval of the "first reading," which basically means council members just voted "yes" to consider it further. When the City Council meets again next week, members will readdress the issue — and be required to vote two more times. If we get a "yes" to both of those votes only then will services like Uber be legal. Thursday night's council meeting was open to public commentary, which is part of the reason why it lasted so long into the night. Taxi companies and their drivers showed up in bright yellow T-shirts with #PlayByTheRules emblazoned on the back while many Uber supporters wore darkly colored "Texans for Uber" shirts. Those in favor of modifying the city rules to allow for TNCs argue that it's an alternative to using taxis, and will cut down on the amount of drunk driving in Austin. However, taxi drivers say that these companies should have to adhere to the same regulations that they do. Several council members wanted to add stipulations such as background checks to Austin City Council member Chris Riley's initial proposal, but those amendments will not be decided on until next week. At the meeting slated for October 2, City Council will discuss these suggestions and finally decide whether TNCs will be legal in Austin.